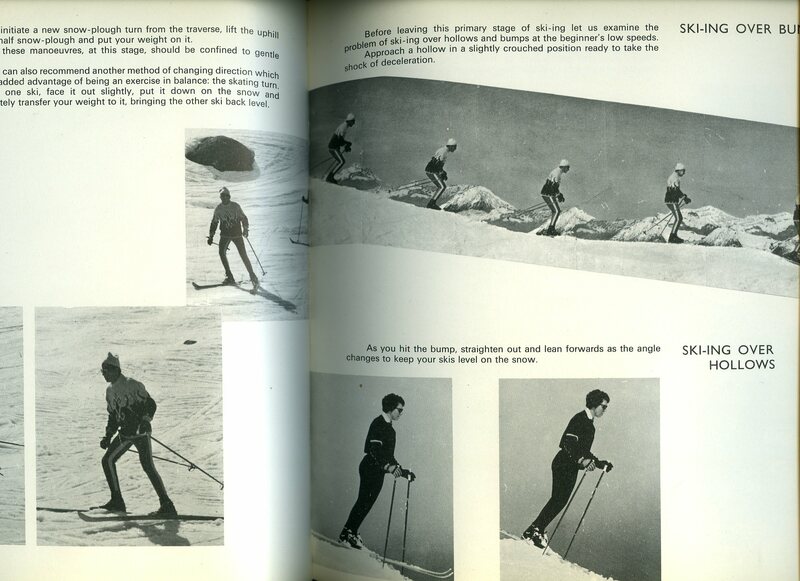 The British Ski Year Book of The Ski Club of Great Britain and The Alpine Ski Club Vol. XV 1952 No. 33. 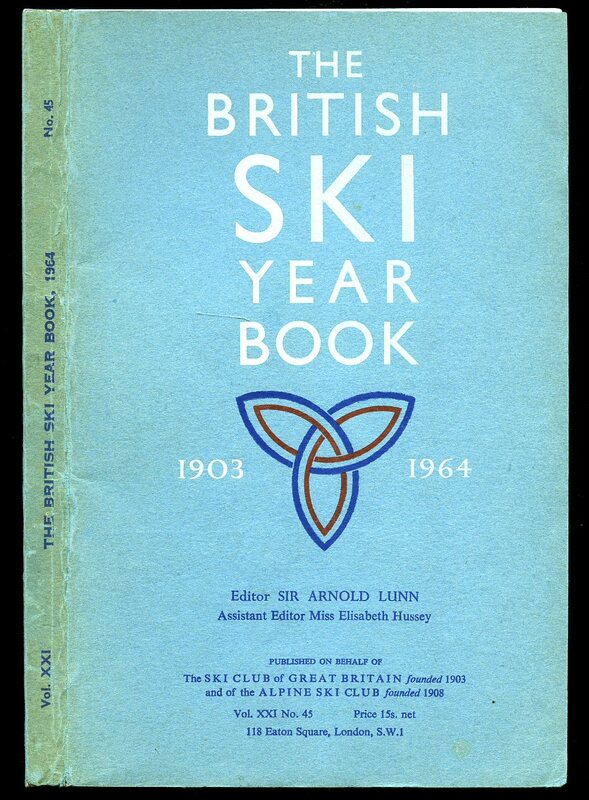 Published by The Ski Club of Great Britain 118 Eaton Square, London 1952. 1952. 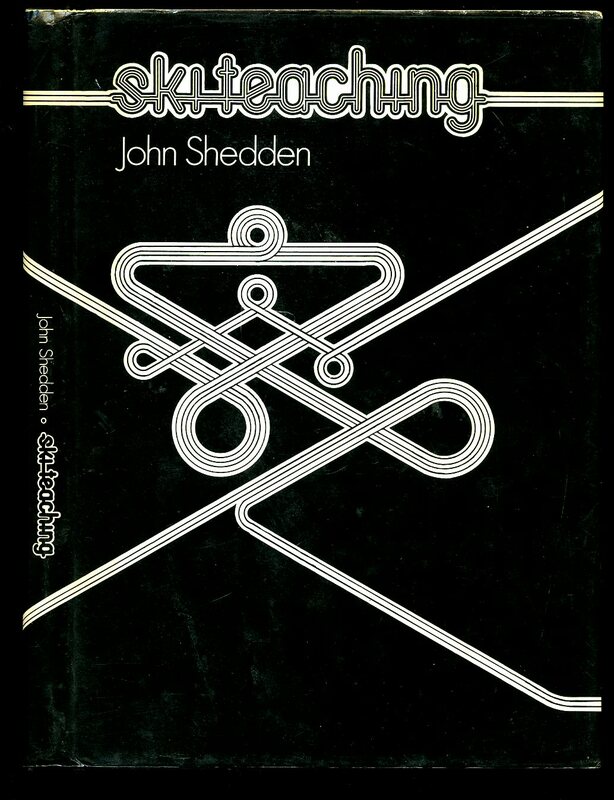 Publisher's original grey paper covers. Well illustrated. In Very Good condition. Member of the P.B.F.A. 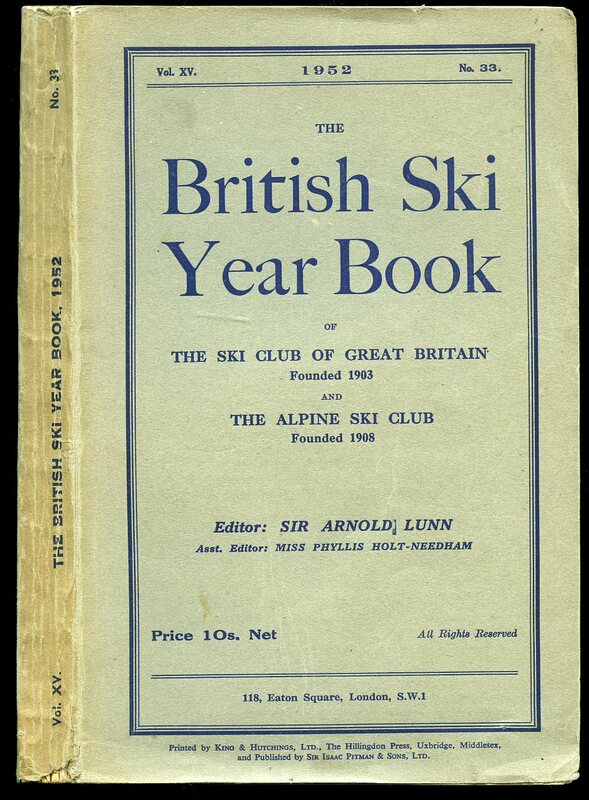 The British Ski Year Book of The Ski Club of Great Britain and The Alpine Ski Club Vol. XXI 1964 No. 45. 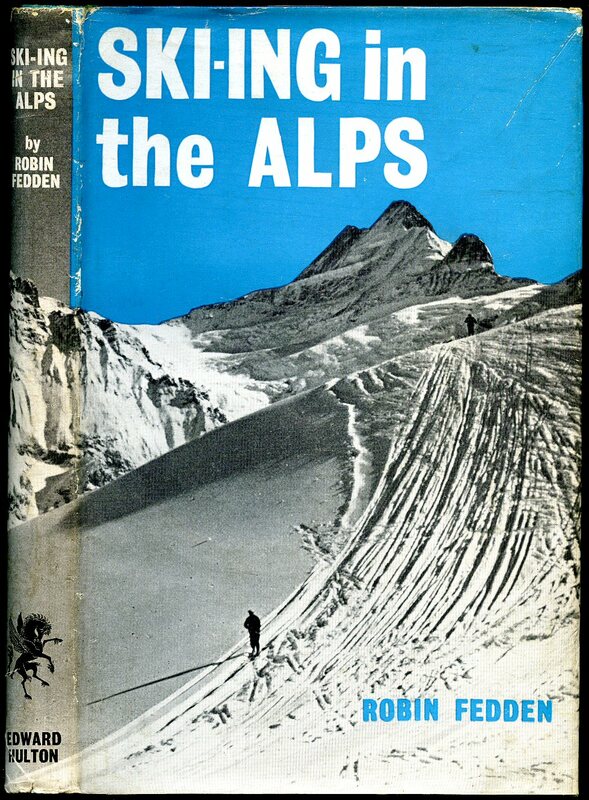 Published by The Ski Club of Great Britain 118 Eaton Square, London 1964. 1964. Publisher's original light blue paper covers. Well illustrated. In Nr. Fine condition. Member of the P.B.F.A. Published by Arco Publications Ltd., 10 Fitzroy Street, London First Edition 1961. London 1961. First edition hard back binding in publisher's original jade paper covers, black lettering to the spine. 8vo 9'' x 6'' 191 pp. Monochrome illustrations throughout. Small rubs to the upper corners and in Very Good condition, no dust wrapper. Member of the P.B.F.A. 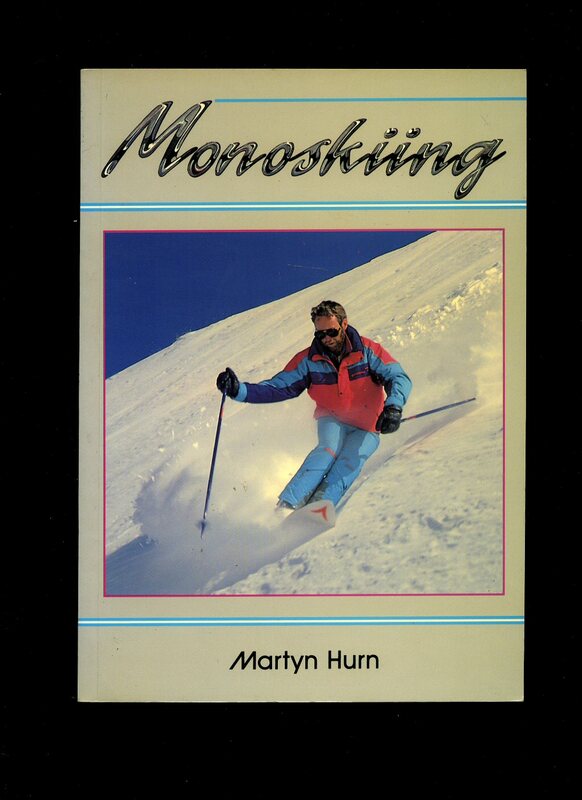 Published by The Crowood Press, Ramsbury, Marlborough, Wiltshire First Edition 1988. 1988. First edition in publisher's original colour illustrated laminated card covers. 8vo 9½'' x 6¼'' 96 pp ISBN 1852231580. Monochrome illustrations throughout. In Fine condition, no dust wrapper as published. Member of the P.B.F.A. 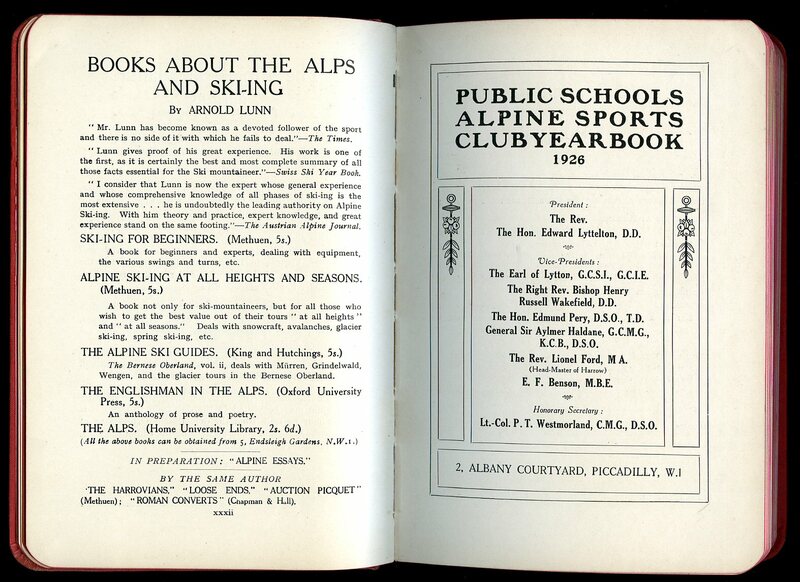 Published by Alpine Sports, Limited, 5 Endsleigh Gardens, London First Edition 1926. 1926. First edition hard back binding in publisher's original crimson cloth covers with rounded corners, gilt title and author lettering to the spine and to the front cover, red dyed edges. 8vo. 7½'' x 5¼''. 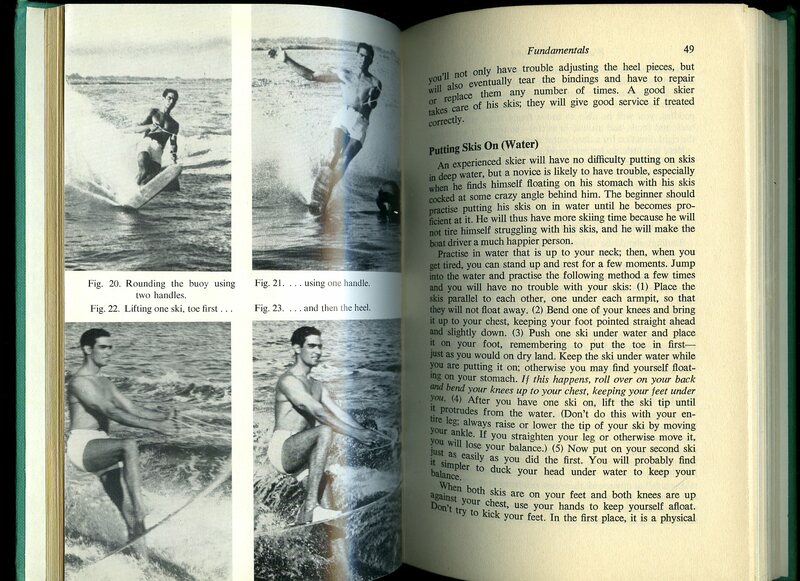 Contains 206 [12-page illustrated advertisements] printed pages of text with monochrome photographs throughout. Sun fading to the red of the spine, spine ends softened, ghosting to the end papers, ink name to the rear paste down and in Very Good condition, no dust wrapper. Member of the P.B.F.A. Published by George Newnes Ltd., Tower House, 8-11 Southampton Street, Strand London First UK Edition 1966. London 1966. First edition hard back binding in publisher's original blue cloth covers, gilt lettering to the spine. Quarto 10½'' x 8¼'' 237 pp. Monochrome photographic illustrations throughout. Mottling to the boards, top edge age darkened. Good condition book, in Good condition dust wrapper with two 20 mm tears to the top front cover, not price clipped 50/-. Dust wrapper supplied in archive acetate film protection, this protects and prolongs the life of the paper, it is not adhered to the book or to the dust wrapper. Member of the P.B.F.A. 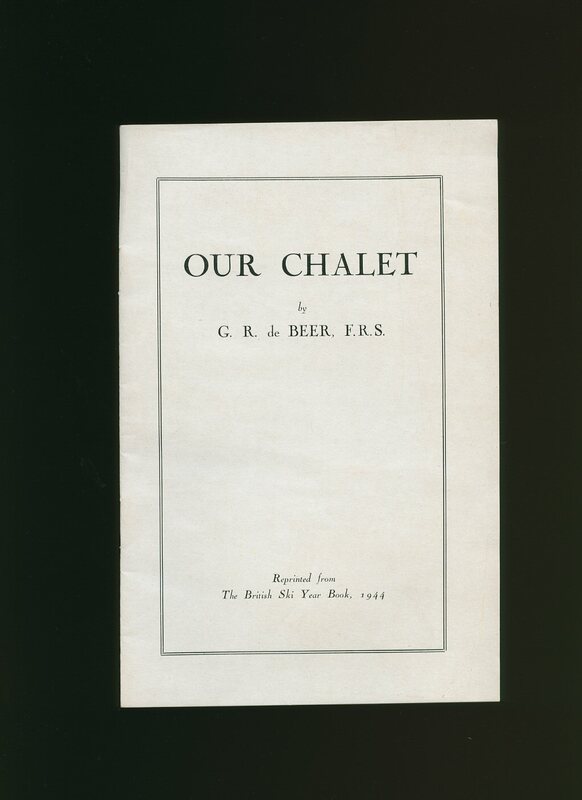 Published by Edward Hulton and Co. Ltd., 161-166 Fleet Street, London First Edition 1958. London 1958. First edition hard back binding in publisher's original vivid aqua blue covers, silver title and author lettering to the spine. 8vo. 9'' x 6''. ISBN. Contains [viii] 168 printed pages of text with monochrome illustrations throughout. Without any ownership markings. Fine condition book, in Very Good condition dust wrapper with short closed tears to the lower cover, tiny rubs to the corners, not price clipped 18s, super fresh paper copy. Dust wrapper supplied in archive acetate film protection, this protects and prolongs the life of the paper, it is not adhered to the book or to the dust wrapper. Member of the P.B.F.A. Published by John Jones Ltd., 41 Lochaber Street, Cardiff Second Impression 1974. Cardiff 1974. Hard back binding in publisher's original black paper covers, gilt title and author lettering to the spine. 8vo. 9'' x 6''. ISBN 0902375253. Contains 113 printed pages of text with monochrome photographs throughout. Without any ownership markings. 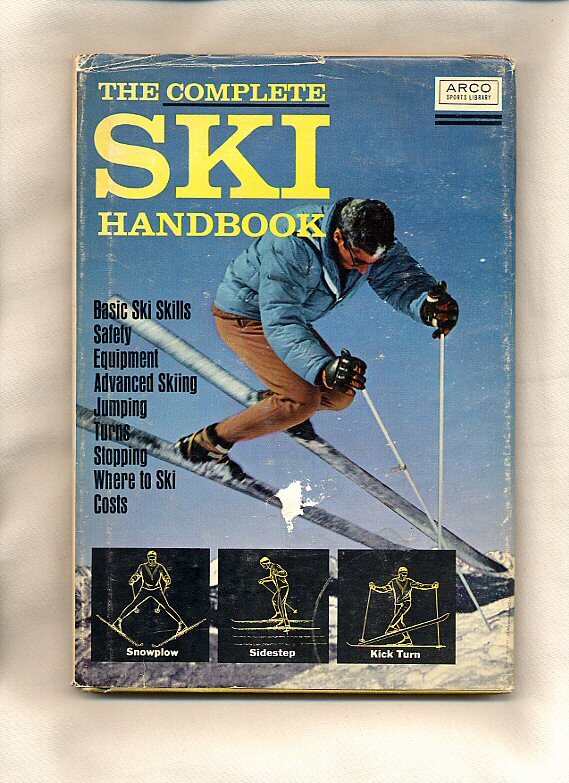 Fine condition book, in near Fine condition dust wrapper, not price clipped. Dust wrapper supplied in archive acetate film protection, this protects and prolongs the life of the paper, it is not adhered to the book or to the dust wrapper. Member of the P.B.F.A. Published by Arco Publishing Company, Inc., 219 Park Avenue South, New York, USA First Edition 1965. USA 1965. First US edition hard back binding in publisher's original lemon cloth covers, black title and author lettering to the spine. 8vo. 9½'' x 6¼''. Contains 112 printed pages of text with monochrome photographs throughout. Rubs to the spine ends and lower edges, pencilled address to the front free end paper. Very Good condition book in Very Good condition dust wrapper with tiny nicks to the spine ends and corners, shelf rubs to the fore edges, not price clipped. Dust wrapper supplied in archive acetate film protection, this preserves and prolongs the life of the paper, it is not adhered to the book or to the dust wrapper. Member of the P.B.F.A. Printed by King and Hutchings Ltd., Uxbridge 1944? Original stapled paper covers 9'' x 6''. Contains 16 printed pages of text with monochrome photographs. In Fine condition. Member of the P.B.F.A.